Shipyard Jiangnan confirms that it has officially started the construction of the vessel, and that it is planned to be ready for sailing in 2019. It will be the country’s first domestic-built vessel of the kind. It is built based on a contract with the Polar Research Institute of China, a translation of a yard press release reads. The ship, which is designed by Finnish company Aker Arctic Technology Co, will be 122.5 meters (about 402 feet) long and 22.3 meters (about 73 feet) wide. It will have a deadweight of 13,000 tons and will be able to carry supplies for 60 days of uninterrupted operation. The ship design will allow it to break ice up to about 1.5 meters (about 5 feet) thick with both its front and its rear. It will be able to carry two helicopters. According to newspaper China Daily, the construction of the ship was officially marked in a ceremony in Shanghai on Tuesday. The new vessel will be China’s second of its kind. From before the country has the Xuelong (Snow Dragon), a ship built by a Ukrainian yard and in operation since 1994. 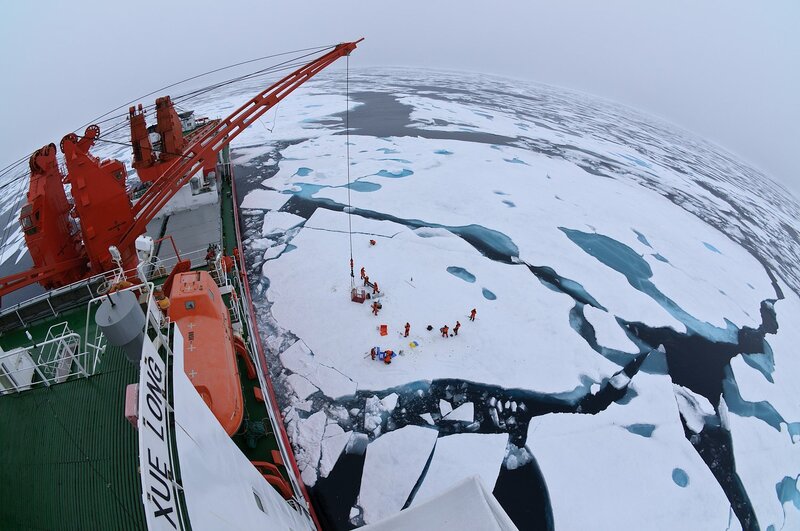 According to Yang Huigen, head of the Polar Research Institute, the Xuelong was built primarily for transportation of supplies to China’s research stations. Furthermore, the ship has proven itself not sufficiently suitable for complex Arctic conditions, he confirms to the China Daily. In January 2014, Xuelong was stuck in floating ice in Antarctica after evacuating passengers on a stranded Russian vessel. It is not immediately clear what will be the engine capacity of the new icebreaker. China has previously announced that it intends to build also a nuclear-powered icebreakers. An agreement was signed this year between the National Nuclear Corporation and State Shipbuilding Corporation development of the nuclear-powered ships.